Is Credit Card Travel Insurance Better Than a Traditional Policy? There are many advantages to paying for a trip using a mid-range to high-end credit card. In addition to the points and miles available through many cards, to the perks that come with airline branded cards, travelers can unlock a world of benefits through their preferred spending methods. However, what many travelers do not realize is that they can also unlock valuable travel insurance benefits as well. 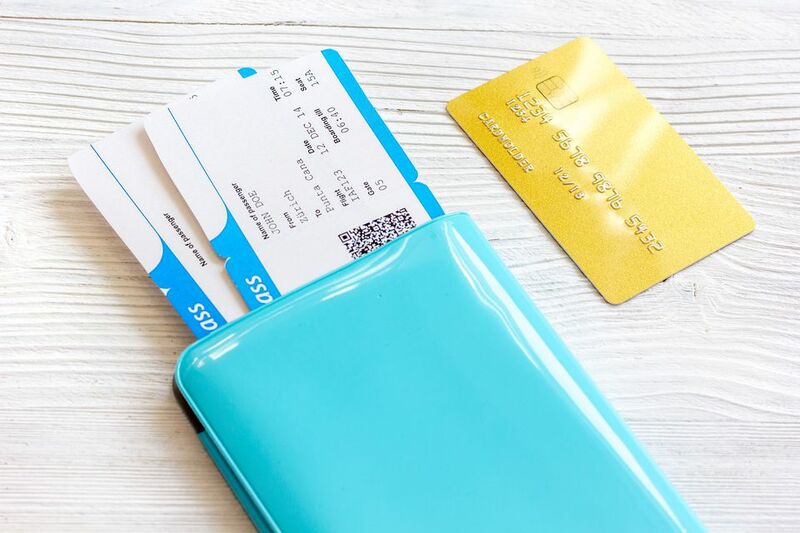 When putting some portion of an itinerary on a credit card, travelers can often receive travel insurance benefits through their credit card provider. These benefits can include trip cancellation benefits, trip delay benefits, and baggage loss coverage. Furthermore, credit cards can also extend protections to rental cars as well, allowing travelers to drive off the lot with peace of mind. Are the benefits allowed by credit cards better than travel insurance policies? By understanding the pros and cons of both a traditional travel insurance policy and travel insurance provided by a credit card, travelers can make the best decisions for their next trip. Here are the key ways a traditional travel insurance policy differs from travel insurance benefits provided by a credit card. When many people think of traditional travel insurance benefits, the first thing that comes to mind is purchasing either the plan provided by a trip provider, or going through an agency to purchase an travel insurance plan. These travel insurance policies can offer a lot of protections to the traveler in the worst case situations. Traditional travel insurance plans cover the value of a traveler's entire trip, regardless of how they paid for their adventure. With one policy, travelers can receive protection on every part of their trip, from the drive to the airport, to the moment they arrive home. In addition, one policy means travelers only need to call one phone number should things go wrong: in the event of an emergency, one call to the travel insurance provider can ensure situations are taken care of. However, traditional travel insurance policies also come with many limitations as. Travelers who are injured or ill with a chronic condition prior to their departure may not be covered for a recurrence of those conditions without a pre-existing condition waiver, which adds cost to a travel insurance plan. Unlike credit cards, traditional travel insurance policies may not cover rental cars both domestically and abroad, leaving the traveler to pay even higher fees. Finally, most traditional travel insurance policies will not cover the cost of points or miles, but may cover fees for re-depositing those points into a loyalty account. Perhaps one of the most underrated credit card benefits, many international travelers automatically receive a travel insurance policy through their card issuing banks. Moreover, some of these travel insurance policies can rival even the best traditional plans. Most credit card travel insurance policies come with all of the standard benefits, including trip cancellation, trip delay, and baggage loss benefits, without having to purchase an additional policy. In addition, many credit card travel insurance plans also come with accidental death and dismemberment coverage that rivals many traditional policies. While many people think of credit card travel insurance as a primary auto coverage policy, certain cards will cover the value of the points expended on a trip at a fixed value. Although this may be enough for travelers to consider not purchasing a traditional travel insurance plan, it is important to note what a travel insurance policy will not cover. Many credit card travel insurance plans have very limited coverage for medical emergencies and medical care, meaning travelers may be forced to pay out of pocket if they end up getting injured while traveling. Secondly, the credit card travel insurance may only extend to the portion which was purchased on a card. If a traveler purchased their flight and rental car on two different cards, they would be covered by two different policies. Finally, a credit card travel insurance policy may not offer valuable add-on coverage, including hazardous activity add-ons, pre-existing condition add-ons, or Cancel for Any Reason add-ons. As a result, travelers may miss out on benefits that could be pertinent to their next adventure. While some travelers may be inclined to think all travel insurance is equal, where they get their coverage from is a critical distinction to understand. By understanding the pros and cons of travel insurance through traditional means and from their credit cards, travelers can make the most of their benefits. Think You've Got Travel Insurance From a Credit Card?